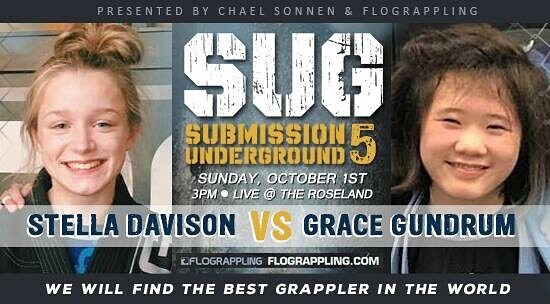 Chael Sonnen’s Submission Underground (SUG) heads back to the Roseland Theater in Portland, Oregon to hold its 5th submission-only grappling event on Sunday, October 1, 2017. The event will also be streamed live on Flograppling. 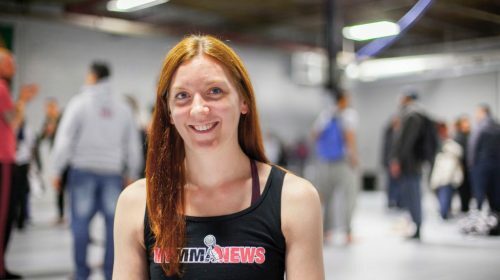 This will mark the first time that a SUG event will be headlined by females, with a match between former UFC fighter Sarah Kaufman and 2017 Worlds Champion Amanda Diggins as the main event. Kaufman was the first Strikeforce Women’s Bantamweight Champion and is widely known as being a women’s mma pioneer. Among her many achievements in the jiu jitsu competition world, Diggins was featured on SUG’s debut event, winning her match against Liz Tracy by toehold. AJ Agazarm and Phil Baroni will be the co-main event and is sure to bring fireworks, as AJ is widely known for his polarizing and provocative antics during his matches. Baroni, commonly known as the New York Badass, also has quite the edge to him, so it’ll be interesting to see how he handles AJ’s conduct during their match. This is also the first time that the event will feature teenage matches, including an appearance from the Silent Assassin, Grace Gundrum, who recently made waves with her twister submission over Zoey Chiles at Ultimate Mat Warriors 2 in San Diego. One of the things that sets SUG events apart from other grappling events is that the matches are all held inside of a cage, and competitors are allowed to use the cage to their advantage, much like in an mma fight. Both gi and no gi matches will be featured on the card, and the matches follow modified Eddie Bravo Invitational rules, with 8-minute submission only rounds (rather than the usual 10 minutes), before heading into the EBI overtime rounds. Check out the full line up of grappling matches below. Previous Split Decision MMA Podcast – Matt Brown announces retirement, 1 more fight for Rousey?